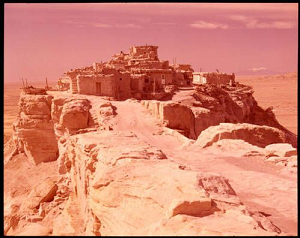 "	Hopi Village of Walpi- Arizona," photograph, Josef Muench Collection (NAU.PH.2003.11.9.E8173). Special Collections and Archives, Cline Library, Northern Arizona University. Indian History Online. Accessed April 20, 2015. 2015 Walpi Village. http://www.wmf.org/project/walpi-village, accessed April 20, 2015.